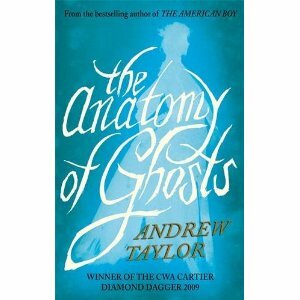 CWA Cartier Dagger Winner, Andrew Taylor interviewed by Amy Myers on writing his latest novel, The Anatomy of Ghosts. Not many people are lucky enough to be able to read a novel as good as The Anatomy of Ghosts and then be able to sit down and fire off questions to its author, so I much appreciated Andrew Taylor’s permission to do so. There are shivers and suspense a-plenty in The Anatomy of Ghosts, which is described as gothic. The OED defines this word as having an atmosphere of mystery and horror – no doubt about that in this novel. Apart from referring back to the eighteenth century and The Mysteries of Udolpho, I’ve never been quite sure how to pin down exactly what I and other people mean by gothic in the fiction context. How do you see it, and did you set out to write a ‘gothic novel’ or did the plot evolve into one because of the period? I don’t know what ‘gothic’ means in terms of fiction either, apart from certain 18th century novels. Or rather I don’t know precisely. It’s one of those convenient labels that everyone interprets in their own fuzzy, woolly way, which fortunately overlaps with everyone’s else’s interpretation, at least in part. I didn’t set out to write a gothic novel. But I knew from the start where and when it would be set, and that there would be a ghost, a drowned woman and probably a murder or two. Considered objectively, those ingredients certainly suggest the gothic to me. I suspect my imagination has a natural tendency to wander in that direction. 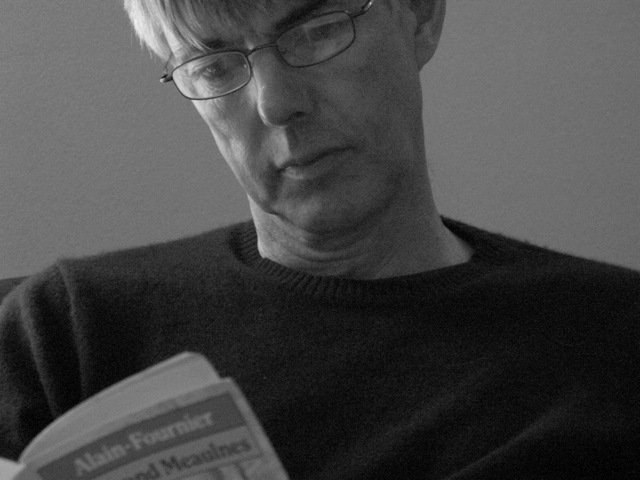 You have written within a wide range of crime novels in your career, from straightforward (if that’s an applicable word for any of your novels) detection to psychological crime, and from contemporary to historical settings,including those novels set ‘in between’ – where one time period networks with others, either within the same novel or in a series such as the Roth trilogy. Do you have a set plan as to what kind of novel come next or does the new one boil up in your mind and make its wishes known? Your novels seem to wrap tentacles round the reader drawing them closer and closer into the heart of the darkness. I think it’s not only your writing style that achieves this, but also your structure which seems to me very carefully considered. Would you agree? Yes, structure is important to me. Occasionally, as in the Roth Trilogy, the overall shape is apparent right from the start, though only in very broad outline. But that’s exceptional. Usually the structure emerges, like almost everything else, in the writing, and is constantly modified as the book progresses. It’s only at the end of the first complete draft that I really know the shape of the novel, and can tweak accordingly. The Roth trilogy is partly set in the fictional Rosington, and there is at least one reference to Jerusalem College. The Anatomy of Ghosts is mostly set in Jerusalem College with references to the Rosington Fellowship. Was this a deliberate intention to create a crime world of your own by linking the novel back to the Roth trilogy? Well spotted! You’re absolutely right. I’ve always enjoyed the way that people like Trollope seed so many of their novels with tiny connections to their other books; it’s as if their fictional universe is made of whole cloth, as opposed to a patchwork. I’ve done this right from the start, I think – Jerusalem is the college of William Dougal, my very first hero, and Rosington appears in the first book, Caroline Minuscule. They also make fleeting appearances in the Lydmouth series and elsewhere. In the same vein as the question above, the Holy Ghost Club is in the same period (roughly) as the shenanigans at West Wycombe with Sir Francis Dashwood and his Order of St Francis of Medmenham. Does it also look forward to the present Apostles of Cambridge, which shot into public awareness last century with Blunt, Burgess and Philby?Or were you looking back from the current Apostles wondering whether they had predecessors and what they were like? Dashwood and the Monks of Medmenham were the original inspiration for the Holy Ghost Club. I researched the whole history of such clubs as far as I could (materials are scarce, which is perhaps understandable). Some of the more obscene practices of the Holy Ghost Club are lifted from the real-life activities of a Scottish hell-fire club. And, yes, one reason I chose the name was so that I could call the members ‘Apostles’. The real Cambridge secret society, which came later, had the reputation of being painfully cliqueish and highminded, not to say smug. And then Blunt, Burgess, Maclean and Philby put another spin on it! You have written The Anatomy of Ghosts in multi viewpoint, with Holdsworth to the fore of the plot but not always in control of it, and you also see him in some scenes through others’ eyes. How do you choose which viewpoint to use in a novel? Does the plot dictate it or is it a primary decision of yours – or is it one of those questions that’s impossible to answer? I spend a lot of time brooding on viewpoint and often change it in mid-flow. This book was originally going to be first person, from Holdsworth’s viewpoint. Then some third-person passages crept in, including some that appeared to be from beyond the grave. By the third draft it settled down to third person with a limited number of viewpoints. Like structure and plot, the right viewpoint tends to emerge in the writing. I wish I could sort them out earlier in the process. One of the many interesting facets of your writing is your use of the flawed main character, which you use to great effect in The Anatomy of Ghosts where Holdsworth’s emotional and psychological hang-ups reflect and have their part in the plot. Is this an element that is with you from inception or does it grow with the character? I like flawed main characters. They make things happen. I knew from the start that Holdsworth’s wife and child had drowned, and that their deaths would haunt him because he felt a responsibility for them. But then he developed from there, as the narrative moved on. Another of your many strengths is that in your novels, be it a standalone such as The Raven on the Water and Bleeding House Square or a series, the past throws out a psychological net to trap your characters in the present, which ensnares the readers just as effectively. Is it this aspect that first fires up your imagination? Yes, the past-present relationship does keep coming out in the books, doesn’t it? I’m not quite sure why, though I know it’s something which will recur, and that it’s maybe due to the same reason that so many of my novels are set in the past. I rationalise it by arguing to myself that we need memory to make sense of the present and try to plan the future. That’s what history is for. Which century are you visiting next? I’m staying in the 18th, but the setting will be very, very different. No ghosts, either, or not so far. Many thanks, Andrew, for agreeing to this interview, and whichever century you choose for your next masterpiece, I’ll be looking forward to reading it. Congratulations on The Anatomy of Ghosts. Thank you - and thanks for so many kind words, and so many interesting questions. Andrew Taylor’s new masterpiece, The Anatomy of Ghosts, is now published (Michael Joseph, hardback, £18.99, 2 September 2010). All his novels are superb, and The Anatomy of Ghosts is spellbindingly so. It is set in the late eighteenth century, and therefore could be labelled a historical novel. However, such labels sit oddly on an Andrew Taylor novel, in which the past can seem like the present day, and the present to be carrying the past on its shoulders. In his varied and award-winning novels, he has created his own crime world, justly recognised in his receiving the Cartier Diamond Dagger award in 2009. Set in the Cambridge of 1786, The Anatomy of Ghosts draws readers into its complex story as though they were living through its terrifying events themselves. Printer John Holdsworth, author of a book denouncing the reality of ghosts, comes to Jerusalem College to find out the truth behind the madness of a young student. He has been sent at the behest of the lad’s mother as her son claims to have seen the ghost of a dead woman. Holdsworth is drawn into the dark and horrifying secrets of the college, which is dominated less by its master than by the Holy Ghost Club, a dining society that is not only what it seems.